"We were not allowed to make any copies of the plans at the local library. This message was left with the librarians! by the WBC Padworth warden. It was as though the library was guarding the Mona Lisa." I can confirm that the notices have gone up on the common.We were not allowed to make any copies of the plans at the local library this message was left with the librarians! by the WBC Padworth warden, it was as though the library was guarding the Mona Lisa. We have until the 19th for people to lodge their complaints so I hope your website will be linked and one of the facebook links gives the address to write to , anyhow here it is if you want to repeat it..................The Planning Inspectorate,Room 4/05, Kite Wing, Temple Quay house, Two The Square, Temple Quay, Bristol, BS1 6PN. The new application is even more exclusive than before. We are to be kept out of the south side of the common completely, and on the north shut in to the bridleway.The bridleway now open is to have gates and barriers. It does not look good for dog walkers either, dogs on leads and not allowed on the south side. We have found commoners who object to all this but knowing WBC they will overule them, they are just not listening to what people want .Their stance is we own the common, and we want it to be purely a nature reserve. Common land is effectively being stolen from us ;we will have to make an appointment with the warden to go and see the wildlife! I might add that despite my daughter talking to Sarah McWilliams and Paul Hendry of WBC about her disability at a consultation meeting on the 31 st July they have made no allowances for her to enter the common in her wheelchair; at the moment she can enter at will, she will be shu,t out as far as I can see because although they talk of kissing gates we do not know if she will fit through these. They have not consulted her. 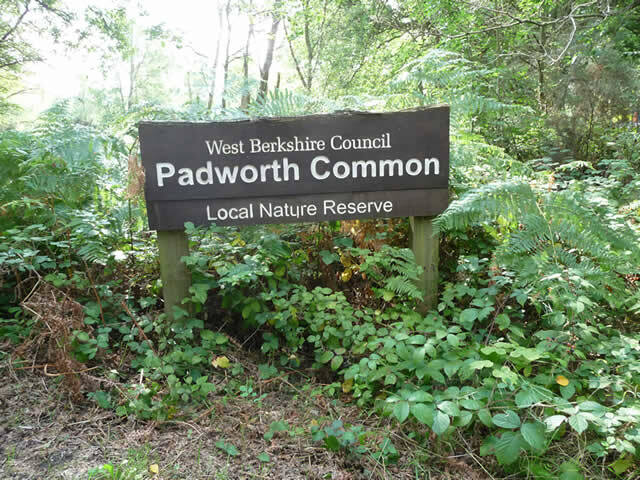 I think it has been bad that a copy of the application of some sort has not been put up on the Padworth Common noticeboard itself, apparently someone asked why a copy of the map had not been put up, and the warden replied it was because when a previous application was put up on the board she said someone defaced it, i understand it said this is a rubbish idea! My point is some people do not know how to object or dont have the time, and additionally if the map etc is not easily avaialable they dont know or understand what they are objecting to.......all they see is little postcard sized notes which they dont bother to read and so do not know what is happenning.